Today I woke up on new time and felt like I’d tricked myself. You see we did not roll the clocks back yesterday morning like everyone else did. The cows, like me, don’t necessarily like change, and they dislike quick change more than anything. Change for them can include dropping milk production so we try to ease them into any new situation. Yesterday afternoon we moved milking time some and then a little more this morning. The first night I moved my alarm up to compensate for the time change and, wow, did that look like it was going to be early! Last night I went to bed on new time which seemed very late, and got up on new time which seemed like sleeping in. I don’t know if that could be considered a lifehack or not, but the trick felt like real, like a good treat. 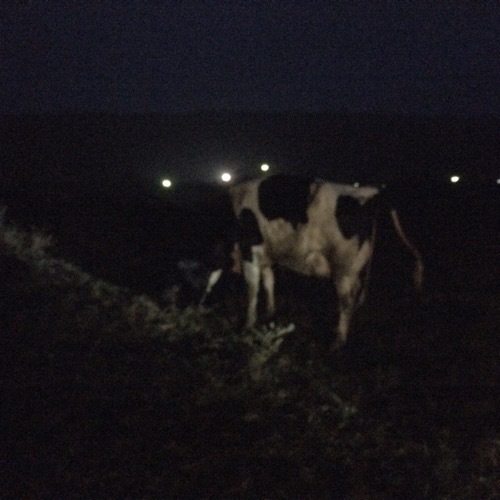 Speaking of treats, this morning we were greeted with a fresh heifer before daylight. Through the shadows you can almost see her licking off her newborn calf.